The drive from Riga to Vilnius went a bit faster than I had anticipated probably due to light Sunday traffic. Having a few hours before I could check into my hotel, I decided to pay a visit to Vilnius’s holocaust museum. 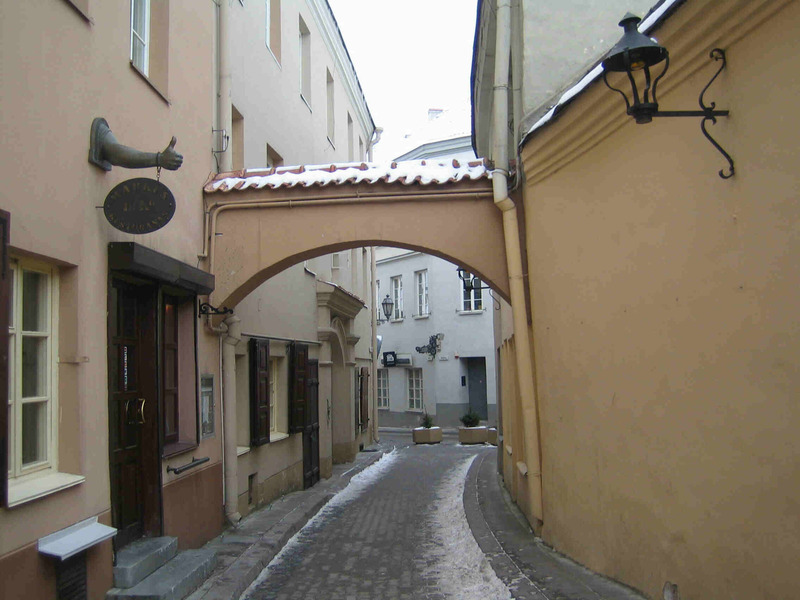 Vilnius was once home to one of the largest Jewish communities in Europe. Over 250,000 Jews called Vilnius home prior to WWII. After the Germans invaded in 1941, the Jews were herded into a Ghetto in what is today the Vilnius Old Town. They languished there until August of 1943 when under Himmler’s orders the Ghetto was liquidated. Its residence were either out right murdered or sent to concentration camps in Estonia and Latvia. During my visit to the old town, I found the cobble stone streets quite and the small shops and cafes cheerful. It is somewhat chilling to think that in this same place during WWII nothing but sadness and terror were felt by the residence of this place. 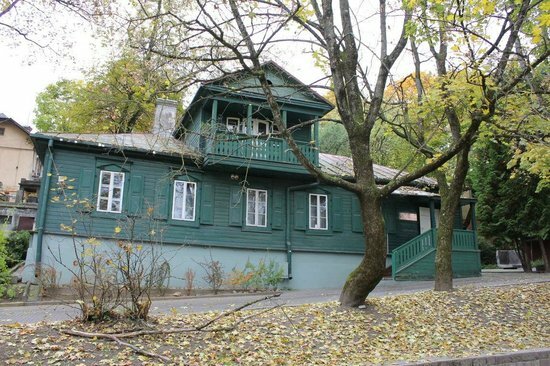 The museum was a small old house that had been converted to tell the history of the persecuted Lithuanian Jews living in the area during WWII. We were greeted by an Austrian graduate student who seemed glad to have someone to visit the museum. After giving of us a short briefing of the grim events of the Holocaust in the Vilnius area, he invited us to take our time and experience the various exhibits the museum had to offer on our own. Through pictures, letters, and video clips patrons were able to understand the history of the Jewish community in Vilnius and then the events of the Holocaust. As I quietly purused the various exhibits, one in particular caught my eye. The small exhibit was dedicated to a German soldier, Anton Schmid who saved the lives of many Jews during the early days of the Nazi occupation of Lithuania. I had heard the name Anton Schmid referenced once before while reading a book on the history of WWII in the Baltic. Yet I knew very little about what he actual did other than he had saved a few Jews during the Holocaust. By in large his deeds are mostly unknown outside Holocaust experts and perhaps the dependents of those who he helped. Anton Schmid was actually not a German at all, but an Austrian from Vienna. He owned a small radio repair shop and lived a fairly quite and unremarkable life with his wife and daughter. After the Anschluss in 1938 and the Nazi seizure of power in Austria, the persecution of the Jews started almost immediately. It seems like even this early before the persecution became particularly lethal Anton realized the lives of his Jewish friends and neighbors were in danger. Schmid aided a small group of his Jewish neighbors escape from Austria and luckily escaped detection. In 1939 Schmid was conscripted into the Wehrmacht. 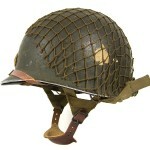 Due to his age of 39 he was assigned to a rear area unit in Poland. It can be assumed he excelled as a soldier because he was quickly promoted to the rank of Feldwebel (Sargent). 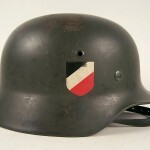 In 1941 after Lithuania was occupied by the German army, Schmid was sent to Vilnius to take charge of a Versprengten-Sammelstelleand, a unit tasked with aiding German soldier who had become separated from their units return to their parent formations. Schmid found that his position allowed him to issue work permits to Jews inside the Ghetto. These passes were known to the Jews in the Ghetto as ‘death holiday passes’ as those possessing them were less likely to be rounded up. Many managed to use these passes to travel across Lithuania and “disappear”. Due to this action, a number of souls escaped execution. Schmid could have stopped their but he found ways to smuggle food into the ghetto, hide Jewish members of the underground in his apartment and office, and even managed to use his position to get a few fortunate souls released from the infamous Lukiski prison where few left alive. A lesser man might have stopped there, but Anton grew bolder. 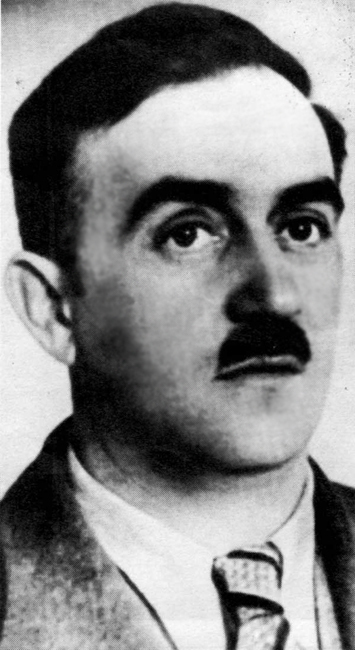 Using his access to military vehicles, Schmid began transporting Jews from the Vilnius ghetto to Belarus where the persecution of Jews was at the time much less severe. Schmid would repeatedly take 20-30 people at a time in his trucks under the guise of transporting lumber. Many of these Jews would end up joining partisan units operating in the forests around Belarus. During these times Schmid frequently passed messages between the Jewish resistance groups operating in Lithuania and Belarus. This action along may have saved over 300 lives. In October of 1941 in order to reduce the number of Jews in the Vilnius Ghetto, the Nazi authorities issued 3000 yellow colored permits to skilled workers. These permits would allow the worker and three members of his family to stay in the Ghetto, all others would be killed. When Schmid found out about this, he sprung into action getting as many of these permits as possible to his workers. Those he could not get permits for he smuggled out of the ghetto. Papers please. 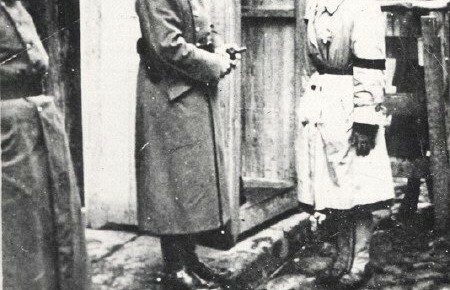 A Jewish women is questioned in the Vilnius Ghetto. It was impossible that these actions would continue to go unnoticed by the Nazi authorities. 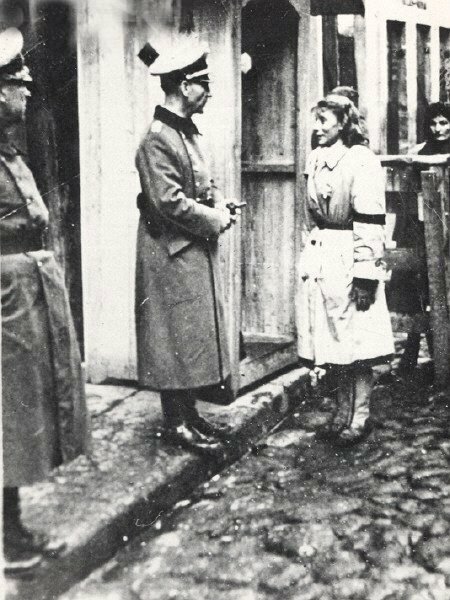 Rumors had been running rampant among the Jews in the Vilnius Ghetto for sometime that an Austrian soldier was helping Jews. The leader of the Jewish underground met with Schmid and warned him that these rumors were spreading and he was likely in grave danger should he continue his activities. This warning seemed to only emboldened Anton, and he continued to offer whatever assistance his position could provide to the Jews in the Ghetto. In January of 1942 a Ghetto was established in Lida, Belarus. 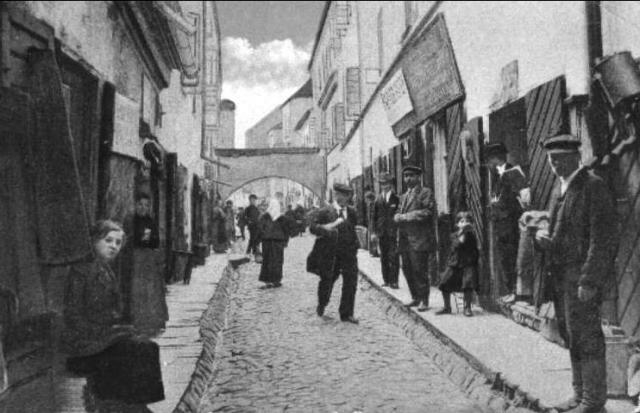 Some of the Jews who were forced into this new Ghetto were originally from Vilnius. It appears that under Gestapo interrogation a few were forced to tell their interrogator by what means they arrived there. In late January of 1942 Anton Schmid was arrested, court marshaled, and tried for high treason. 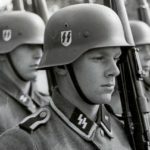 The charges stemmed not from just aiding Jews, but helping the underground and passing messages between partisan organizations who were actively fighting the German army. At his court-martial, his defense lawyer attempted to argue that Schmid had only moved the Jews to Belarus in order for them to be used as labor by the Wehrmacht. Schmid would have none of this and bravely declared he had moved the Jews to Belarus to save their lives. Not surprisingly he was found guilty and sentenced to death. Feldwebel Anton Schmid would die by firing squad on April 13th, 1942. When Schmid made the decision to aid the partisan by passing their messages back and forth and hiding some of their leaders, he was aiding the enemy of the German army. 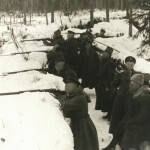 At the time partisan activities in Belarus were starting to take a serious toll on the German forces. It can be assumed that Schmid’s aid probably resulted in the death of German soldiers who were operating in Belarus. It is hard to define these action by any other definition then traitorous. In that era aiding the enemy in that manner would have resulted in a death sentence in any army whether it be Allied or Axis. Schmid was well aware of what his actions meant and that they would probably result in his death, but having seen what a Nazi victory would have meant, Anton made his decision of who he would serve. Anton left little record as to why he did what he did. Those who served with him in the Wehrmacht said he was quite and kept mostly to himself. A friend later described him as a ‘simple, true hearted man’. What little is known comes from a letter which he penned to his wife and daughter right before his execution was carried out. He handed the letter to a Catholic priest who attended him in his last hours. In the letter Anton goes on to explain the horrors of the holocaust he personally witnessed and why he felt he had to do something to help. By reading his words one can only have the impression of a man who had made peace with what was going to happen to him. He clearly states, “Our dear lord has willed this and has made me strong. ” The way he closes his letter may be the best indication as to why he did what he did, “ I have only acted as a human being”. It is hard to see Anton’s actions as anything less than heroic. He was a man who stood up and put his life on the line to help his fellow man at a time when most would not. Anton may have believed that he was only acting as a human being should, but in an era where many of his fellow men were engaging in some of the most despicable acts known to humanity, Anton tried to make a difference. For this reasons alone this Austrian Feldwebel should be remembered.